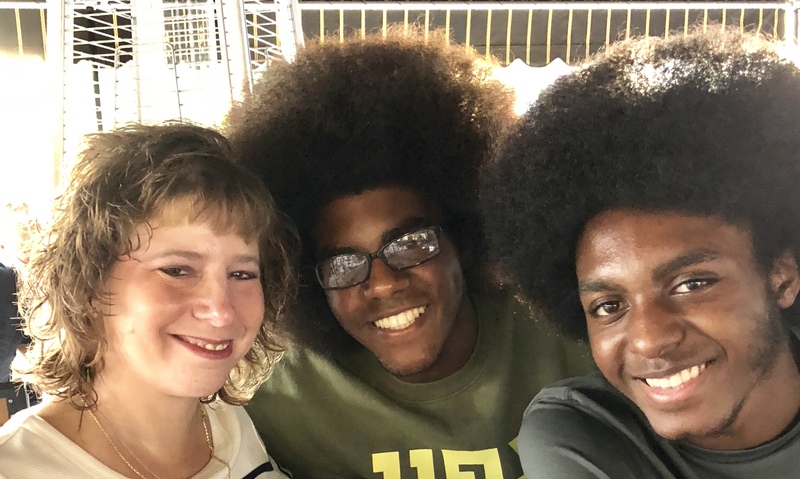 I was recently asked about my experience as a Caucasian mother of two adopted African American sons. My initial reaction was to say it wasn't that different. However, as I thought more about it, I found it easier to respond. I don't have any biological children but don't feel a need to make a comparison. I became a parent just like every mother. Benjamin was one week old when we met him. As other adoptive parents know, adoption is a process involving home studies and legal appearances in Surrogate's Court. Michael, Benjamin's biological brother, was born nineteen months later and similarly adopted. Adoption Star told us to use the word "adoption" in regular conversation, because as children get older, they ask questions naturally and should be given age-appropriate answers. We read the book How I Was Adoptedby Joanna Cole to our children, sometimes tailoring it to them. Parents of African American girls know it's all about the hair. Parents of African American boys know it's all about "the talk," which occurs when African American boys are of driving age. Of concern are "DWBs," otherwise known as "driving while black." It serves as African Americans' introduction to our unfair criminal justice system that typically treats them harsher than Caucasians. As Buffalonians, we live near a border, so I made sure my children knew how to behave at a border crossing. This made it easier to describe what encounters with police might look like. My sons graduated from their private school when they were in eighth grade and attend Williamsville North High School. They are in school with African Americans, including those with many diverse backgrounds. They have good hearts, which I attribute to learning Jewish values at an early age. Both do well in school. Benjamin is strong in art and good at sports — involved in varsity hockey and track. Michael prefers the performing arts — he plays the clarinet and piano, sings, and dances. I couldn't be prouder of the unique individuals they are. Others may question if this is the correct way for white parents to raise African-American children. My answer is there's no recipe. If people wonder why we raised them as Jews, while most African Americans are Christian, we tell them we chose to raise them with good values. Most importantly, we raised them with love, and love doesn't come in a color.